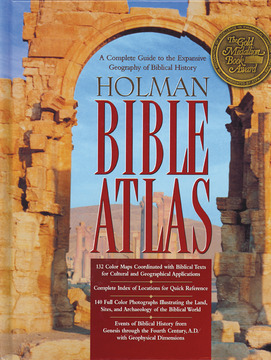 Through the end of the year, the Holman Bible Atlas is available from the Gospel Advocate online store for only $19.97 (Reg $29.97). No promo code is needed for this special holiday season pricing. The Holman Bible Atlas has 132 full-color maps, more than 150 photos, and numerous charts and sidebars, which make this a wonderful addition to any Bible student’s library.